When another Academy Trust funding scandal broke, many were left wondering how the ESFA’s control mechanisms, delivered largely in the form of the Academies Financial Handbook (AFH), could have failed so abysmally. Again. They say timing is everything and, having just completed the update to the CalQRisk control knowledgebase against the AFH 2018, and become reacquainted with the ongoing AFH control environment, it is evident that control effectiveness is a central theme in Lord Agnew’s revised edition. You would be forgiven for thinking – bolting horse / stable door. Calling for strong governance, effective oversight and rigorous challenge of financial affairs, this latest edition of the AFH follows a trend we have been seeing since 2012 – the movement away from a prescriptive control environment to one that is based on the principles of transparency and accountability. Governance and oversight (financial or otherwise) should never be box-ticking exercises. They demand serious engagement on the part of those charged with the responsibility. Some commentators have been pointing a finger at the government’s regulatory practices. Regulation can be a powerful deterrent but there isn’t a regulatory regime in the world that can’t be circumvented if somebody really wants to find a way to do it. Regulation is only a part of the solution. Existing outside organisations, it wasn’t designed to be a substitute for robust internal control but to support and inform it. Those on the inside know their organisations best; they understand the context they operate in, the people they are working with, the needs and expectations of stakeholders and the nature, scale and complexity of the control mechanisms that need to be in place. Members, Trustees and Local Governors have an obligation to ensure that those controls are put in place and to check regularly that they are working. They must effectively oversee how their Trust is being run and challenge the ways in which funding is being raised as well as the ways in which it is spent. The financial stability of the Trust and the reputations of all parties associated with it are at risk if the governance and oversight are not robust enough to effectively challenge, or competent enough to understand what is going on. Media coverage suggests that Bright Tribe, the Trust at the centre of this latest scandal, was successful in raising funding for building and renovation works that were either never carried out or not carried out as described in their funding applications. Tenders for the works were routed through connected third-parties and subcontracted back to a company owned by the Trust’s founder. Payment amounts for work done fell far short of the monies secured for it. Who was asking the questions and were they asking the right questions? Their action or lack thereof has resulted not only in another failed Trust but in damaging the reputation of a whole sector. Headlines hurt. When oversight is effective, the people in governance positions have the skills and experience necessary for the role. They have the ability to ask the right questions of the right people. 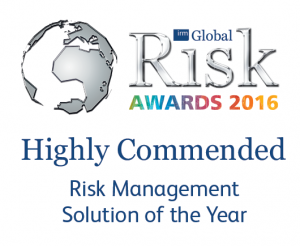 They are able to look across their organisation and have a clear view of the control environment. They are testing those controls against key risk indicators and watching closely for any deviations from the established risk appetites. They have translated the vision and mission of the Trust into strategic and operational objectives, of which a primary one will be the sound financial performance of the Trust. Achieving that objective requires a high level of continuous scrutiny. The AFH is a great yardstick by which to monitor and confirm how the governance, fiduciary responsibility, and financial management of your Trust is working. 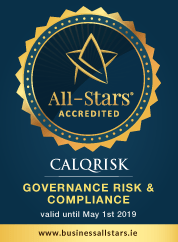 Using a risk-based approach, CalQRisk breaks the AFH down into governance establishment controls and operational controls. Adding their own unique controls, Trusts can test how their control regime is working and can ask frequent, relevant, probing questions of those charged with the prudent management of Trust monies, at all levels. As well as that, they will have continuous sight of the control environment across all locations, all in one place, and always up-to-date. ‘Bad Apples’ can turn up anywhere. Where a number of them conspire to defraud a system, even the most vigilant overseers have had to rely on whistleblowers or external audit to raise suspicion or uncover fraud. These recent revelations have highlighted yet again that even external mechanisms can fail. You owe it to your Trust and to your reputation to stay vigilant and to ask enough of the right questions from the inside to make sure that those bad apples stay out of your barrel.